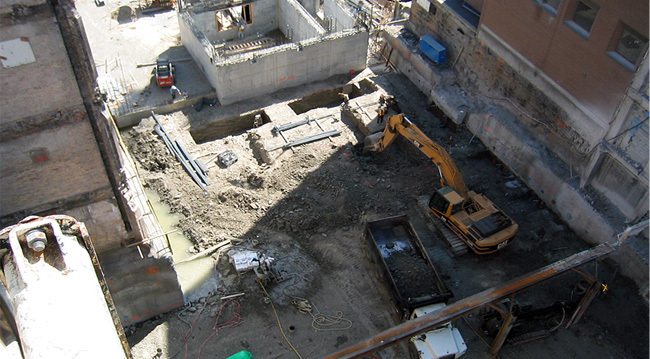 This 3.5 Million dollar contract involved HC Matcon providing a full excavation, a 16,000 Sq. Ft. shoring and large diameter caisson package for this project. 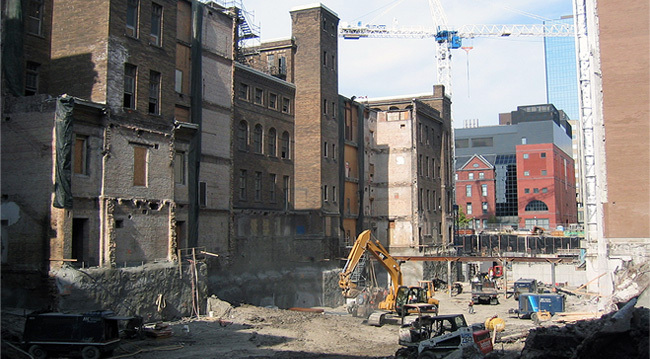 Challenges included the support of historical facades, tight working room, land locked site location and staged demolition. 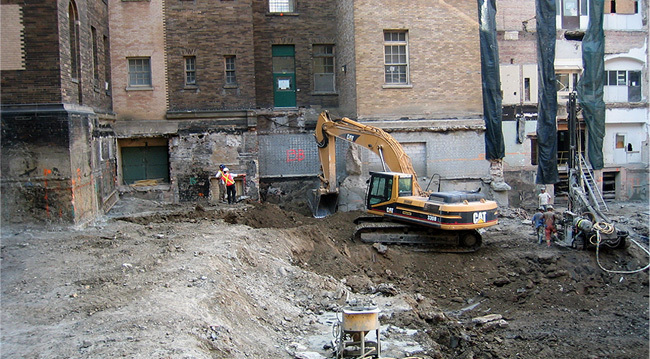 The site required all 4000 Dump Truck loads to be removed through a narrow laneway. HCM demolished a 14 Ft. brick service tunnel, while maintaining a 6 inch live steam line, through piled supports, eventually digging under the live line to maintain schedule. 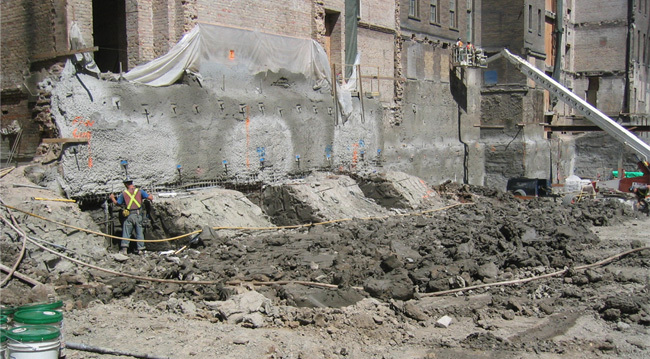 The combined shoring and excavation package was well suited to this project requirement as tight co operation between the excavator and shoring contractor was critical. HC Matcon maintained excavators on site during the full project duration which allowed for many advantages to Ellis Don and the owner.